Playoff Field Set, Who Will Win It All? And so the Monster Energy NASCAR Cup Series Playoffs begin with Sunday’s South Point Hotel & Casino 400 (3 p.m. ET on NBCSN, PRN and SiriusXM NASCAR Radio) at Las Vegas Motor Speedway. Team Penske driver Brad Keselowski closed out the regular season on Monday at Indianapolis Motor Speedway with his second consecutive win – and became one of five drivers with multiple victories heading into the 10-race elimination-style Playoffs. run of success moves him into fourth place for the Vegas Playoffs opener. Although the Las Vegas track is Kyle Busch – and his older brother Kurt’s – hometown venue, it’s actually 15th-ranked Jimmie Johnson who boasts the best track record on the 1.5-mile oval. His four wins are most all time. Among the Playoffs front four – both Harvick and Keselowski are two-time Cup winners at the track. Kyle Busch and Truex each have one win. Kyle Busch has reason to be optimistic about starting the Playoffs at his hometown track. He is the youngest polesitter and youngest Monster Energy Series winner in history there. But more importantly right now, he is the only driver to bring a 2018 (regular season) championship trophy to the starting grid for Sunday’s race. He’s had seven top-10s and a win in the last eight Cup races. He finished runner-up to Harvick in the season’s March visit to Las Vegas. His 103.4 driver rating there is second only to the track’s all-time winningest driver Johnson (108.9). He has three top-fives in his last five starts at the track. “Going to Vegas, it’s not one of my best racetracks, for some reason,’’ Busch said. “I’ve won there before, but it was a long time ago. We finished second earlier this year. We struggled early but came on late and we’d love to have the opportunity to go out there and win and just move ourselves automatically through to the next round and not have to worry about the “roval” (at Charlotte). Kevin Harvick arrives in Las Vegas as the track’s most recent winner – his victory in March was part of a huge three-race winning streak that kick-started a career season. His No. 4 Stewart-Haas Racing Ford earned consecutive trophies at Atlanta, Las Vegas and Phoenix. He’s added four more wins since then and leads the series with seven. His 1,220 laps out front is the most, as well. He has only one finish out of the top-10 since May (13 races) and has top-five finishes in three of the past four races. Harvick’s work at Vegas this spring was his second win in the last four races at the track and he truly dominated, leading 214 of the 267 laps. The Californian has finished third or better in five of the last six championships, claiming his first Monster Energy Series title in 2015 – the year of his first Las Vegas victory. Brad Keselowski is convinced his Team Penske team is peaking at precisely the right time. His marquee wins in the Southern 500 two weeks ago and then at Indianapolis Motor Speedway in Monday’s rain-delayed race have boosted the program’s confidence heading into the Las Vegas Playoffs opener and vaulted him into fourth place in the Playoff standings. The 2012 Monster Energy Series champion has certainly had previous success at the Vegas venue. He has won two of the last five races there (2014 and 2016) and hasn’t finished worse than seventh there since 2012. That includes four top-fives in the last six races. Joey Logano, who won at Talladega Superspeedway in May, enters the Playoffs on a high note. His No. 22 Penske Racing Ford has top-10s in three of the last four races prior to Las Vegas. He was runner-up to Keselowski at Darlington Raceway two weeks ago. Although he is still looking for his first Vegas victory, Logano has proven to be among the best statistically at the track with six top-10s in 10 starts. His 9.7 average starting position is best among drivers with more than four starts. Only Vegas race winners Johnson, Kyle Busch and Harvick have better driving ratings than Logano (97.3). Championship leaders Busch (21) and Harvick (22) have more top-10s than Logano (18) this season. Denny Hamlin’s near-miss on Monday after leading so many laps at Indianapolis Motor Speedway is indicative of not just his season but also looks similar to the season of several others who begin vying for the big trophy this week. Hamlin has won the pole position at three of the last five tracks. And he’s led 307 laps over 16 races this season in the No. 11 Joe Gibbs Racing Toyota, only to have to settle for seven top-five efforts – including four third-place finishes. Last year’s four-race winner Kyle Larson is in a similar rut of near-misses. The driver of the No. 42 Chip Ganassi Racing Chevrolet has eight top-five finishes – including seven finishes of second or third. Five times he has finished runner-up. Three times he’s led at least 100 laps and fell shy of victory lane. He was third at the springtime Vegas race, however, and was runner-up a year ago. He has three top-10s in five Vegas starts. As with Hamlin and Larson, Ryan Blaney is also another 2017 race winner still looking for his first of 2018. He’s had a solid first season in the No. 12 Team Penske Ford earning a pair of pole positions (a career best total), one of them at Las Vegas in May, five top-fives and 12 top-10 finishes. He has three finishes of 11th or better in the last four races coming to Las Vegas. His best showing of the year was a runner-up at Kentucky. His 586 laps out front (four times he’s led at least 100 laps in a race), is already a career high in his three full-time Cup seasons. Jimmie Johnson is the most successful driver on the Vegas high banks and he could use the positive vibes in his Playoff run as he’s still looking for his first victory since Dover in June of 2017. Statistically, things look promising for Johnson here. He has the most top-10s (nine) and ties Harvick with the most top-five (six) finishes in addition to his four-trophy total at Vegas. A good showing for the No. 48 Hendrick Motorsports Chevrolet would be well timed as the seven-time Cup champion. He has six top-12 finishes in his last seven Vegas races. His last trip to victory lane came in 2010. He won an unmatched three straight races from 2005-2007. Hendrick Motorsports driver William Byron, 20, continues to lead the Sunoco Rookie of the Year standings over Richard Petty Motorsports driver Bubba Wallace. Both arrive in Las Vegas feeling optimistic about bettering their March debuts there. Although Byron ended up 19th at Indianapolis on Monday, he did lead three laps and ran among the top-five late in the race before pit strategy shuffled him into the field. He has two top-10 qualifying showings in the last two weeks – fifth at Bristol, Tenn. and 10th at Darlington. He started 17th and finished 27th in his Las Vegas Motor Speedway Cup series debut earlier this season. Wallace, 24, was involved in a crash at Indy finishing only 57 laps in the No. 43 Richard Petty Motorsports Chevrolet. The outcome dropped him to 27th place in the standings, but he has reason to feel optimistic about Vegas’ 1.5-mile oval. One of his two top-10 finishes (eighth) this year was at the Texas Motor Speedway 1.5-miler. Coming into the 2018 season, Justin Allgaier had recorded a total of five NASCAR Xfinity Series wins. In 2018? He doubled his career total with five wins – and there are still eight races to go. His two wins in 2017 set his previous career high win tally. To say the driver of the No. 7 JR Motorsports Chevrolet is having a career year would be an understatement. His five wins have helped him rack up 14 top-five finishes (also a career best) and 20 top 10s – a number he matched in 2010 and has only been bettered by the 27 he recorded in 2016. He’s won three of the last five races, finishing third (Bristol) and seventh (Darlington) in the other two during that time period. In fact, Allgaier has finished in the top 10 in the last 13 races running, going back to a 37th-place finish at Pocono. Allgaier has all but locked up the Xfinity Series regular season championship. He just needs to score 11 points in Saturday’s DC Solar 300 (5 p.m. ET on NBCSN, PRN and SiriusXM NASCAR Radio) to secure the title and the 15 additional Playoff points that will give him a decided advantage in the postseason. In eight starts at Las Vegas Motor Speedway, the venue for this weekend’s race, Allgaier has three top-five and seven top-10 finishes. His lone result outside the top 10 was a 15th-place finish in 2013. Earlier this season, he finished third in a race won by Kyle Larson and in which Christopher Bell, Allgaier’s main rival for the title this season, was second. 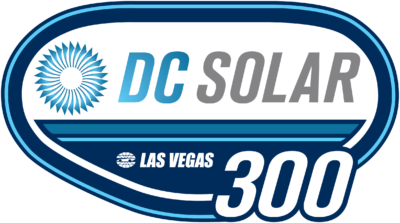 Saturday’s DC Solar 300 (5 p.m. ET on NBCSN, PRN and SiriusXM NASCAR Radio) marks the conclusion of the regular season for the NASCAR Xfinity Series…and sets the field for the Playoffs. Justin Allgaier, Christopher Bell, and Tyler Reddick secured their Playoff berths with wins. Cole Custer, Daniel Hemric, Elliott Sadler, Brandon Jones, Matt Tifft and Ryan Truex have all clinched postseason spots on points. The final three spots are currently held by Ryan Reed, Ross Chastain and Austin Cindric. A win by a championship-eligible driver outside of the 12 listed above would push one of those three out of contention. In terms of clinch scenarios for the trio, if there is a new winner, Reed would clinch with 23 points. If there is a repeat winner (or a win by any of the other mentioned drivers above), Reed would clinch on points, regardless of finish. Chastain needs 38 points to clinch if there is a new winner. If there is a repeat winner (or a win by any of the other mentioned drivers above), Chastain would clinch on points, regardless of finish. And for Cindric, if there is a repeat winner (or a win by any of the other mentioned drivers above), Cindric would clinch on points, regardless of finish. Chastain could clinch on points with a new winner and help (he would need to finish ahead of Reed or Chastain in the points). Quietly, Cole Custer has put together a case to be considered a favorite for the championship – even though he has yet to visit Victory Lane this year. The driver of the No. 00 Stewart-Haas Racing Ford currently sits in second place in the standings, 49 points behind leader Justin Allgaier and three points ahead of third-place Christopher Bell. And although he doesn’t have a win this season, he’s been a contender in several races and his consistency has paid off as – if Allgaier holds on to the regular season championship – he’s set to add up to 10 Playoff points to his tally based on his finish in the regular season points standings. Custer has 10 top-five and 20 top-10 finishes this season – personal bests for the sophomore NASCAR Xfinity Series driver. Three of his five finishes outside the top 10 were the result of crashes (Atlanta, Daytona-2 and last week at Indianapolis). The other two finishes? Not too shabby, either – 14th in the season-opener at Daytona and 13th at Dover. He’s put together an average start of 6.4 and an average finish of 9.3. Earlier this season, Custer crossed the line ninth after starting fourth in the first race at Las Vegas. Last year, in his only other visit to the track, he finished 11th. Look for a hungry Custer to go after his first win of the season to cap off the regular season this weekend at Las Vegas. While Justin Allgaier has dominated to lead the standings and Cole Custer has used consistency to hang on to second place, Joe Gibbs Racing driver Christopher Bell has moved into third on the strength of four wins this season. He sits three points behind Custer and three points ahead of Richard Childress Racing’s Daniel Hemric in fourth place. Rounding out the top five is Custer’s JR Motorsports teammate Elliott Sadler, 69 points out of the lead but just 20 points out of second. Although Bell has the four wins, he hasn’t quite had the consistency of the top two drivers, posting 13 top fives and 15 top 10s. He’s had six finishes of 20th or worse – including two in the most recent three races. He finished second to Kyle Larson at Las Vegas in the spring in his only start at the track. Hemric and Sadler are both looking for their first win of the season as the series heads to Las Vegas. Hemric has recorded 12 top-five and 16 top-10 finishes this season, while Sadler has 12 top fives and 20 top 10s. Sadler finished fifth and Hemric was sixth in the first visit to Las Vegas of the season. With results like they have beed posting, expect the top five in the standings – Allgaier, Custer, Bell, Hemric and Sadler – to crowd the front of the field as they compete for all-important Playoff points heading into the postseason. Ross Chastain made quite the splash in his debut in the No. 42 Chip Ganassi Racing Chevrolet at Darlington Raceway two weeks ago. The watermelon farmer from Florida has driven for JD Motorsports for most of the year, but was given a three-race stint with CGR (Darlington, Las Vegas, Richmond) as his postseason prospects improve. At Darlington, Chastain immediately proved he was worthy of the chance to drive the No. 42 which had already recorded four wins this season with Kyle Larson behind the wheel. He won the pole at Darlington and was the story of the race – leading a race-high 90 laps and winning both of the opening stages of the race. However, the checkered flag wasn’t to be as a late-race tangle with Monster Energy NASCAR Cup Series veteran Kevin Harvick put both cars into the wall and relegated Chastain to a 25th-place finish. Chastain has put himself into Playoff contention with one top five (Iowa-2) and six top 10s. Earlier this season at Las Vegas, he finished 18th in his fourth outing at the mile-and-a-half track. He holds an average finish of 19.2 in those starts, all for JD Motorsports. Austin Cindric’s road to the 2018 NASCAR Xfinity Series Playoffs has been anything but traditional. The Sunoco Rookie of the Year contender will pilot the No. 22 for Team Penske this weekend, but it marks one of three different car numbers for two different teams he has raced for this year. While starting the full season, Cindric has split seat time between the Nos. 12 and 22 for Team Penske and the No. 60 for Roush Fenway Racing. He’s been behind the wheel of the RFR No. 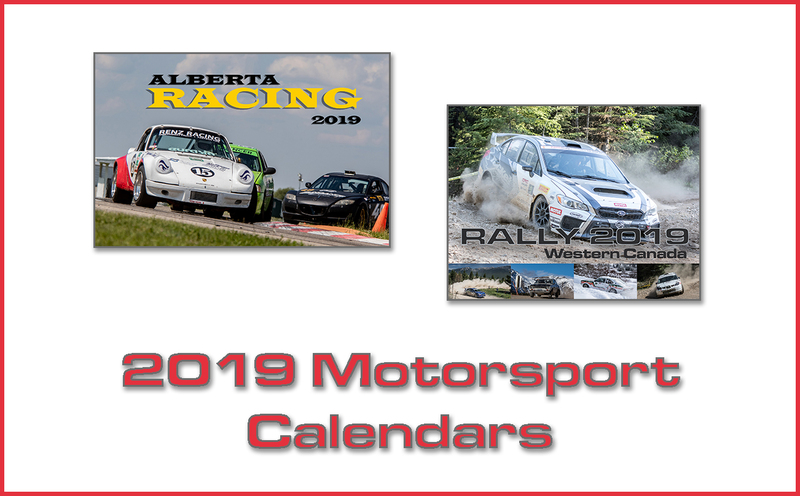 60 for nine races, including four of the opening five races of the season. He’s driven the No. 12 and the No. 22 for Team Penske eight times each to fill out the schedule. Saturday will mark the ninth race in the No. 22. Cindric has tallied three top-five and seven top-10 finishes this season – all while behind the wheel of a Team Penske car. But if he wants to keep his Playoff hopes alive, he’s going to have to turn the recent tide – as he’s had three DNFs in a row (Road America – engine, Darlington and Indianapolis – crashes). In his lone series start at Las Vegas Motor Speedway, Cindric finished 34th earlier this season following a crash. Ryan Reed is currently in the best position of any of the drivers not locked into the Playoffs as the regular season concludes at Las Vegas Motor Speedway this weekend. The driver of the No. 16 Roush Fenway Racing Ford currently sits 10th in the Playoff standings, needing just 23 points to clinch a postseason berth if there is a new winner this Saturday. Reed has recorded two top-five finishes this season (Daytona-1 and Michigan) and eight top 10s. And he has 13 finishes inside the top 15, which has set him up to get a shot to run for the title. Outside of Bristol (17th) and Road America (39th), he has finished 13th or better in seven of the most recent nine races. Earlier this season, Reed finished 19th at Las Vegas, which actually marked his worst result at the 1.5-mile track. In five starts there, he has an average finish of 14.2 with a best finish of ninth in 2017. This Saturday will mark the first time the NASCAR Xfinity Series has visited Las Vegas Motor Speedway twice in a season. The series first came to the track in 1997. Jeff Green won the race. Mark Martin’s four wins are the most in the series at Las Vegas, while Jeff Burton trails him with three wins. Kevin Harvick (two wins) is the only other multi-race Xfinity Series winner at the track. The track has seen 10 different winners in the last 10 races and is guaranteed to get an 11th different winner, as there are no previous Vegas race winners entered this weekend. Kyle Larson won the race earlier this year. Vegas to ‘Dega – Who’s Hot and Who’s Not? The NASCAR Camping World Truck Series head to Las Vegas Motor Speedway on Friday, September 14 for the World of Westgate 200 (9 p.m. ET on FS1, MRN and SiriusXM NASCAR Radio) after a two-week break following the first race of the Playoffs. Justin Haley took home the win and secured his place in the Round of 6 after a last lap crash sent him straight to victory lane. This weekend’s race at Las Vegas marks the final race before the Round of 6 is determined and is followed by a race at Talladega Superspeedway three weeks later. Two very different tracks in the midst of a Playoff showdown. How will it all unfold? Well, there are only two drivers in the NASCAR Camping World Truck Series that have the ability to become a multi-race winner at the Las Vegas track and they are both Playoff drivers. Johnny Sauter won at the track in 2009 and Ben Rhodes won in 2017. No other driver has ever won at the 1.5-mile track. Sauter’s win at Las Vegas also marked the first of his career. If Sauter or Rhodes take home the win, they will join Mike Skinner and Jack Sprague for the most wins at the track. The same goes for Talladega Superspeedway. Only two active Truck Series drivers have ever won at the track and they are both Playoff drivers. Grant Enfinger won in 2016 at the superspeedway and Sauter won in 2013. 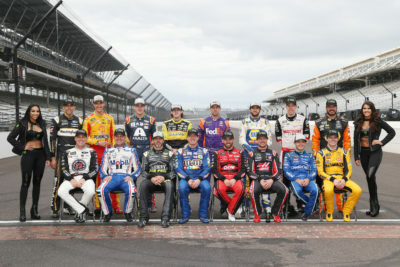 If one of them wins at Talladega during the third race of the NASCAR Camping World Truck Series, they would not only secure their spot in the Round of 6, but they would also join Kyle Busch, Todd Bodine and Parker Kligerman in the record book for the most wins at Talladega in the series. Sauter has nine starts with one win, three top fives and five top 10s. necessarily in the running to win. Could it happen again at Talladega? Noah Gragson has visited Las Vegas twice in his career but has not finished in the top 10 in either of them. His first start was in 2017 where he started 13th and finished in the same place. Earlier this year, Gragson started in the top five but finished 12th. As the Truck Series heads to Talladega Superspeedway following the race at Las Vegas, Gragson will make only his second career start there. His first start was last season where he started in the top 10 but finished 14th. Justin Haley also has two starts at the 1.5-mile Las Vegas Motor Speedway. Unfortunately, Haley didn’t finish in either race due to an engine issue in 2017 and a crash earlier this year. Like Gragson, Haley has visited Talladega once in his career. He started fourth last year and finished 16th. Matt Crafton has 18 starts in his career at Las Vegas Motor Speedway. He has not yet won at the track, but he does have six top fives, 10 top 10s and one pole. Crafton also has the most top 10s of any driver at the track. He is currently tied with Ron Hornaday Jr. At Talladega, Crafton has 12 starts, the most of any driver, with one top five and four top 10s. As a driver who has a lot of experience at these tracks, he can use that to his advantage. Ben Rhodes has three starts, one win, one top five and two top 10s at the 1.5-mile Las Vegas track. Earlier this season, Rhodes started in 15th and made his way into the top 10, finishing seventh. His win at Las Vegas in 2017 also marked the first of his NASCAR Camping World Truck Series career. At Talladega, Rhodes has two starts but unfortunately didn’t finish either race due to crashes. Hopefully the third time’s the charm for Rhodes. Grant Enfinger will head to Las Vegas for the fifth time of his career. He has one top five and three top-10 finishes under his belt. His best finish was earlier this season where he started eighth and finished fourth. Talladega Superspeedway is a good track for Enfinger, as he got his first and only career win at the track in 2016. Last year, Enfinger started 13th and finished fourth.